Are your favorite sweaters covered with cat hair? Do you love to make quirky and one-of-a-kind crafting projects? If so, then it’s time to throw away your lint roller and curl up with your kitty! 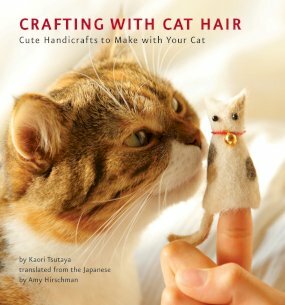 Crafting with Cat Hair shows readers how to transform stray clumps of fur into soft and adorable handicrafts. 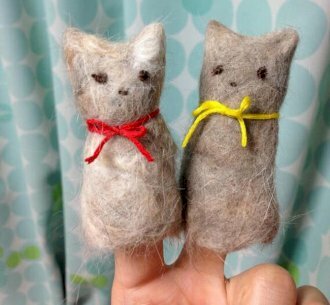 From kitty tote bags and finger puppets to fluffy cat toys, picture frames, and more, these projects are cat-friendly, eco-friendly, and require no special equipment or training. You can make most of these projects in under an hour with a little help, of course, from your feline friends!